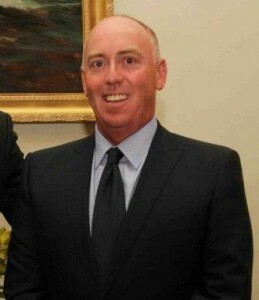 I am President of the Tigers Football Club and looking forward to my first year at the helm of this great club. 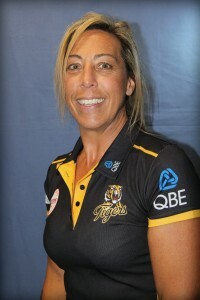 I am a foundation member of the Tigers and have also been involved with the junior club since 2006 when my first of 3 sons that have played at the club started in Auskick. 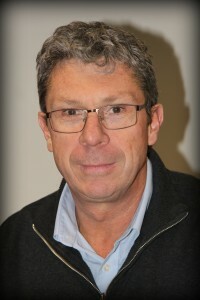 My interest in the Tigers board came about from watching a young team develop and try and forge its own history in the TSL for 4 seasons, whilst not achieving much success on field I have always been impressed how well the team carries the Tiger brand and you can see their desire to achieve success has been building. There are so many green shoots on the list that will start to develop into seasoned TSL players in the coming years and I couldn’t think of a better more exciting time to become involved with an emerging TSL force and an inclusive family club. Whilst not being a footy player I have always had a passion for the game being a Blues supporter all of my life and getting to watch nearly every footy game my sons have played over the last 15 years. They all also played soccer so thankfully they chose the right shaped ball! My sporting background comes from rowing holding a Tasmanian institute of sport scholarship and state team representation for 3 years, I know the meaning of commitment and hardwork to achieve your sporting goals what ever they may be. I had the privelidge to give back to the sport I enjoyed as an athlete for 9 years as a coach and mentor of young men and women coaching at Dominic College, Buckingham rowing club, StVirgils/ St Marys/ GYC rowing club in various stints over 12 year period. On the work side of life I am CEO of Cripps bakery having just ticked off 19 years with the business and I sit of the Board of St Virgil’s college. On the personal side of life, I enjoy spending time with my wife Janet and my boys, life is short and this time should be cherished. I enjoy a drink, golf, fishing, growing vegies and watching Jordan and Lachlan pull on the Tiger jumper. I am the Vice President (Business) for the Kingborough Tigers Football Club, and have held this position for 3 years commencing in the lead up to the Tigers entering the TSL. I am a Foundation Member, and although not a past player I have two sons playing in the juniors. My interest in joining the Board was sparked by the involvement of my sons, and I am passionate that they have the opportunity to play, compete, and grow as people in a great environment! On the work front, I am the General Manager of Vantage Hotel Group. I am only a few months into this role after previously being the State Sales Manager for the brewing company Lion. My sporting background was predominantly cricket where I played 15 seasons of first grade cricket for Glenorchy and Lindisfarne. I coached Lindisfarne for two seasons when they entered the TCA competition, and that situation was similar to the position the Tigers are in today. We were a new club, a very young group, and we didn’t win many games! But it was all about building a culture, developing talent and becoming a “destination” club. Lindisfarne won a first grade premiership in its 7th season, and I am sure the Tigers are on a very similar path to success! What your role is on the Tigers Board? – Part of the Fundraising Committee / General Committee. How long you have been a Board Member? – Into my second year. Were you a past player? – I was a past player in the 80’s, for 3 or so years, played majority of my footy at University. – Have been involved in the Junior Club since 2001, coaching, committee, etc..
Are you a Life or Foundation Member? – I’m a Life Member and a Foundation Member. Do you have Children playing at the club? – I have two children playing at the club Ben(16) in Development League and Zoe(12) in the new Girls Junior League. Where you work & and what you do? – Work for Sigma Pharmaceuticals in a dual role as State Logistics Manager in Tas, and I’m also the National Logistics Inventory Manager. Why are you are Board Member of this fantastic club? – I believe in the direction, the philosophy, the region, and want to be involved in the Club to assist to where I can. Duties: To oversee Facility Management/future works program, Bingo sessions, Foundation club, Gates roster home games and generally support Barra. Played for Tigers 1961/1973, a Life and Foundation member being involved with beloved Tigers in one way or another for 55 years. 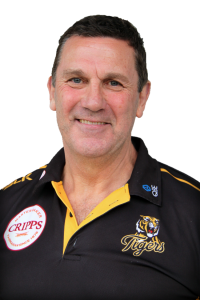 The reason why I am on board: I am a huge supporter of Tigers moving to TSL level, thus being the Southern-most club in Australia where players can be drafted direct to an AFL club. Now the junior/senior bodies are as one we have a true pathway with our players not having to leave the club to play at the highest level. Very happy with the quality of persons involved both on and off the field. Advice: Get on this Tiger Train!! 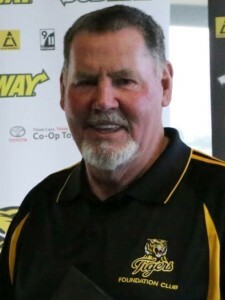 I have a background in Junior AFL football at grassroots level, having spent a number of years on the mainland involved in the running and delivery of junior programs and club facilities, before returning to Tassie. I have a passion for sport and particularly encouraging young children to pursue their desires to be included at club level and develop their skills and love of the sport. I am a people person who loves to engage with the public of all ages, and are always willing to help them in any way I can. In particular at club level it is a responsibility as a club member to go above and beyond to accommodate their needs, this helps to build a strong involved community and encouraging relationships and passion for the sports we love. I started my football career late in life, and continue to play when my schedule permits and outside my Tigers FC responsibilities. I was very fortunate to have been awarded AFL TAS volunteer of the year and TSLW volunteer of the year for 2018, I felt very humbled to have received such accolades and will endeavour to continue this work in all areas in my future involvement in AFL football. 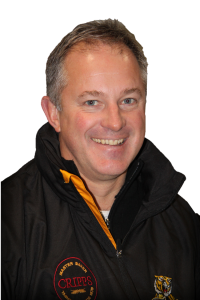 My Role at Tigers FC ranges from Team manager, incorporating all game day liaison with players, support staff and other TSLW clubs, Team management commitments outside of training and playing matches, Nutrition for the TSLW team, and well being responsibilities for the TSLW team, 24/7, I am a strong advocate for building a pathway for female football and liaise on a regular basis with the junior/youth coaches to ensure we are supportive and intuitive to the needs to build relationships and develop programs and pathways. I am fortunate to have accepted a position on the Board at Tigers FC. I value this opportunity and look forward to working towards the development and implementation of high performance programs both on and off the field for players and teams, and to foster the growth, development and direction of the club together with a supportive and hardworking team of dedicated individuals. I have a strong passion for the Tigers FC football club, and immense passion for building the foundations and continued development of Female football, at grassroots level and State wide level. I believe female football deserves equal opportunity to develop players as individuals and footballers, including access to a high performance based football environment, which I believe we offer at Tigers FC. I am currently employed as a part time Teacher’s Aide, a job which I value highly and a role in which I see I can contribute and make a difference in the learning and development of young children. Fortunately this job allows me to balance my working/home and football life! My involvement in football has been a long & rewarding one, I’ve spent the last 20+ years supporting, volunteering, administrating & advocating for the game & its people. Our family has a long history with the Tigers, with my husband Adam & my father in law Kerry both playing senior football at the club. My son Jake is a current player & in 2019 Jake & Adam will Co-coach the Under 18 side. 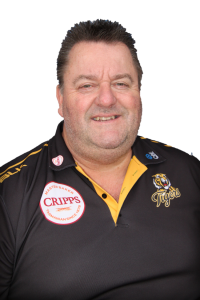 In 2019 my role at the Tigers will be Community Engagement & I look forward to working with Paul, the board & our team to put the Tigers at the forefront of our community. My passion over my footy journey has been focussed on developing an environment in the organisation that supports those in our care to be the best they can be. Sporting clubs are in a unique position to be able to create such an environment. At the Kingborough Tigers Sports Club, we have an obligation to provide a place that our community wants to spend time at & that nurtures, guides & mentors our future leaders. 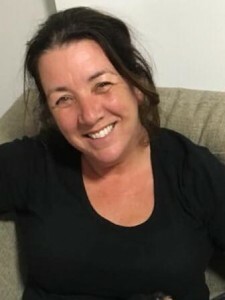 In my professional life I work full time as the Clinical Nurse Consultant of the Neonatal & Paediatric Intensive Care Unit at the Royal Hobart Hospital, my absolute passion is my family, (Adam, our 3 boys Jake, Matt & Zac & 2 dogs Marley & Darcy), my work, the beach, footy (in particular Bucks & the Magpies), basketball & a few thousand charities! The Kingborough Tigers Sports Club has an awesome vision for bringing the community together & its fantastic to see a strong junior program, an ever growing women’s program & the netball club rounding out the club. I look forward to working together with all these entities & our zoned community clubs in 2019 & beyond!